► More fun than the old one? 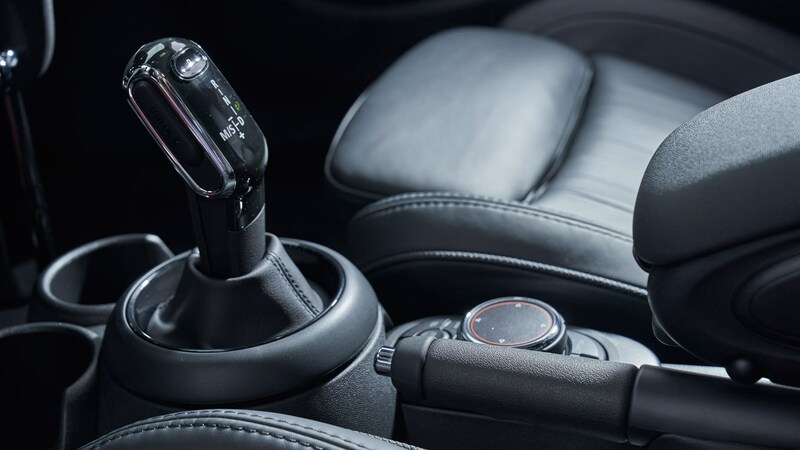 Three years into its life, the current Mini hatch has been gifted a new dual-clutch automatic transmission. It replaces the eight-speed auto on One, One D and Cooper D models for now, comes with seven speeds and has a shiny new knob (ooh er). The Cooper S, SD and JCW all keep the eight-speed torque-converter ‘box for now. When the facelifted car arrives in 2018, all One, One D, Cooper and Cooper D models will get the new dual-clutch auto. On first impression, the new DCT is a smooth operator. The shifts aren’t pin-sharp and super quick, but it’s silky smooth when changing up and down on its own, with no sign of jerkiness or shudder sent through the car. The only kind of disturbance we found was when it put itself into a higher gear around town and the 1.5-litre three-cylinder diesel became slightly grumbly at low revs. Hit a country lane and plant your foot, and kickdown takes a while to, well, kick down. When it does, though, it does it in a civilised fashion. There’s no severe body movement or kicking you in the back when changing down a cog or two – it’s a properly smooth little gearbox, if one that doesn’t like to be hurried. There were no paddles on our test car, either, so you’ll have to take control by shunting across into manual mode on the new gearlever and nudging back and forth to change up and down respectively. It’s responsive enough, but if you’re buying an automatic Mini, chances are you want the car to do it for you. And it does it well. Better than the old auto? Yes. It’s a slicker transmission when you want to kick down, but it’s still fairly relaxed. But that suits the Cooper D we drove fairly well, although there’s a noticeable amount of vibration at low speeds if you’re sitting in a higher gear. It doesn’t hunt around for the appropriate ratio, though. It works well. Should I get one over the manual? 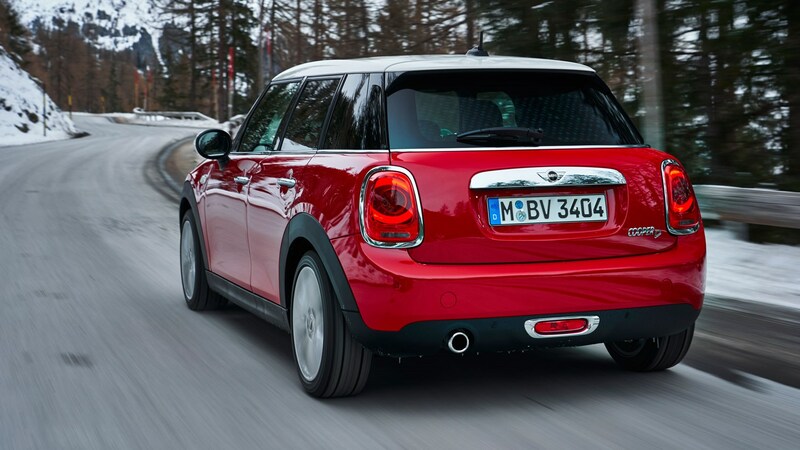 You’d be hard-pressed to find a more enjoyable car to drive than a Mini with a manual gearbox. It’s such a tidy, nippy and darty car with an equally slick manual gearbox that it’s hard to recommend the auto over it unless you simply can’t drive a manual. It has its appeal, but the enjoyment to be had from the rev-matching manual means it’s a hard one justify, although it’ll suit automatic buyers down to the ground. Not really. The car we drove still looks the same (although a facelift is imminent); with a new location for the drive mode switch and tweaked dials with a new fuel gauge (try to contain your excitement). The drive modes remain the same, but are just a little harder to flick between now they’re operated via one of the toggles alongside the starter button rather than on the ring around the bottom of the gearlever. But that’s niggling really. As dual-clutch gearboxes go, it’s not the fastest responder or the most enjoyable to use due to its relaxed nature and lack of paddles – at least when paired with the Cooper D’s 1.5-litre diesel unit. But the gearchanges are silky smooth with very little jerkiness even when you floor the accelerator pedal, making it a very pleasant thing to use both around town and on the motorway. Small changes, but good changes.